A gold cup from northern Italy (ca. 1800 BC) is like Bronze Age gold cups from Germany and England and may show that there was trading going on all across Bronze Age Europe. When did Italy’s bronze age start? Very early on, about 5000 BC, Stone Age people in northern Italy were mining copper and selling it for copper axes and chisels. They even sold copper to people across the Alps in northern Europe. About 2300 BC, the people of Italy learned to make and use bronze from the people of West Asia. Maybe they learned about bronze from the Phoenicians (foy-NEE-shans), who traded with them. How do you make bronze? Did Italian people use a lot of bronze? But bronze was very expensive. Smiths make bronze from copper and tin, and there is no tin in Italy. To get tin, you had to travel to England or to West Asia. So most people still used stone, wood, or bone tools. Only rich people had things made of bronze. In the Bronze Age, Italy had a lot of small independent towns, which sometimes formed themselves into leagues to fight together (as the Greeks said they had for the Trojan War about the same time), and sometimes did not. People grew barley and millet to eat, with chickpeas and lentils, onions and garlic. They started to grow olives and grapes to make olive oil and wine. How do you make olive oil? Around 2000 BC Italy, like Greece and Germany, was probably invaded by Indo-Europeans coming from Central Asia. Probably they left home because of a long drought – no rain – looking for a better place to live. The language these invaders spoke gradually became the languages of Italy. One of these languages was Latin. But there were also others. We call the some of the other Italian languages Oscan and Sabine. Nobody speaks them anymore. These Indo-Europeans brought with them horses and wagons, the idea of the pottery wheel, and probably many other inventions as well. By about 1500 BC, almost a thousand years after the beginning of the Bronze Age, Italians were trading with Bronze Age people from Mycenaean Greece. A fair amount of Mycenaean pottery made it to Italy. Probably the Greeks sold the Italians other things, like wine, olive oil, medicine, and linen clothing. The Italians sold things to the Greeks, too – probably mainly wood and enslaved people. 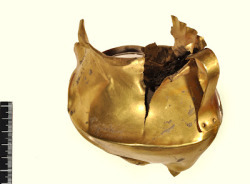 What was Mycenaean pottery like? Cite this page: Carr, K.E. Bronze Age Rome – History of Rome. Quatr.us Study Guides, September 2, 2017. Web. April 23, 2019. Thanks for visiting! I’m glad we could help.